YOU! Yes, YOU! You are Oregon Thespians. Help us celebrate our successes and pave the way for a productive future by nominating yourself or others for awards and leadership positions within the organization. Students can apply to become State Thespian Officers (STO). Complete information can be found by clicking here. STO attend and lead all major Thespian events, including Camp Thespis, Leadership Summit, Improv, Regionals and State, and participate in five Board Meetings each year. It’s a big commitment, but check it out! We need Troupe Directors to nominate themselves or others for Board Positions. We also have several awards we want our Troupe Directors to learn about. 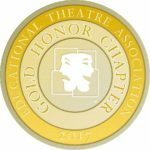 Click here to nominate someone, or to learn more about the several honors available (including grant assistance for Troupe Directors to attend the annual EdTA Conference in the Fall). Finally, consider having your Troupe give an Honor Troupe presentation at State. Click here to learn more about Honor Troupe and how you can help us spotlight more Fantastic Thespians (and where to find them! ).